He hinted that he would vote for the opposition Movement for Democratic Change (MDC) after the military and his once-loyal ZANU-PF lawmakers turned against him, ending his 37 years in power in just days. Mnangagwa won the election taking 50.8 per cent of the vote -- just enough to avoid a run-off against the MDC's Nelson Chamisa on 44.3 per cent. The 94-year-old spoke slowly and calmly, telling mourners "the past is gone, now it's time to unite and dialogue to build our nation". 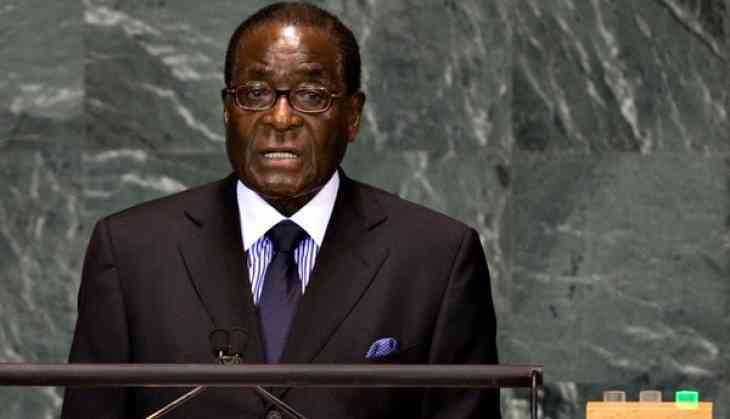 Mugabe had not been seen in public since the election and even missed the inauguration of Mnangagwa on August 26, sending an apology that he was in Singapore for medical treatment. Tanushree Dutta said Nana Patekar harassed her and what happened next was shocking! READ NEXT >> Tanushree Dutta said Nana Patekar harassed her and what happened next was shocking!